Earn 3699 loyalty points when you order this item. - Handheld: Remote handset included and optional n-Stream app for iPad, iPhone and iPod Touch available from the App store. 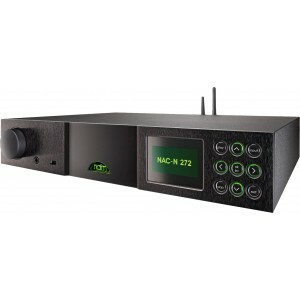 Naim NAC-N 272 is a conventional pre amplifier which also features network music player functionality. 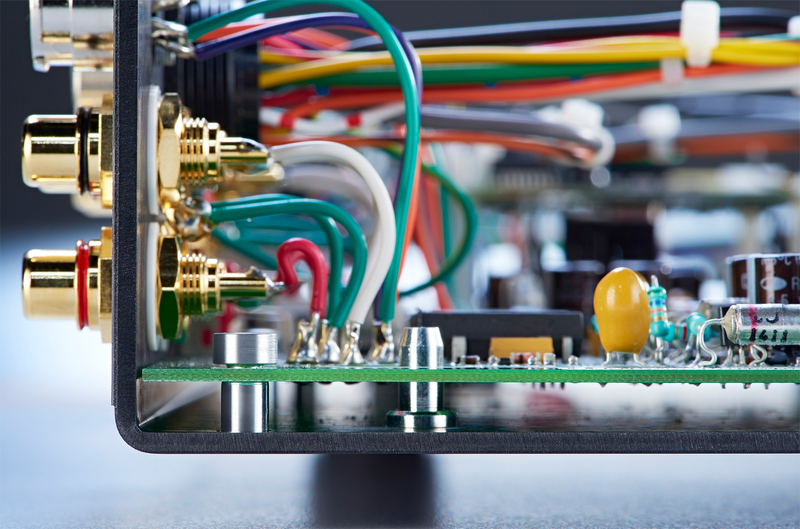 The NAC-N 272 defines a point at which worlds collide – the traditional world of separate pre and power amplifiers, and the new world of network streaming. The NAC-N 272 combines Naim's latest innovations in digital audio technology with classic analogue preamplifier engineering. It samples the best of both worlds to create an immensely musical hi-fi system. 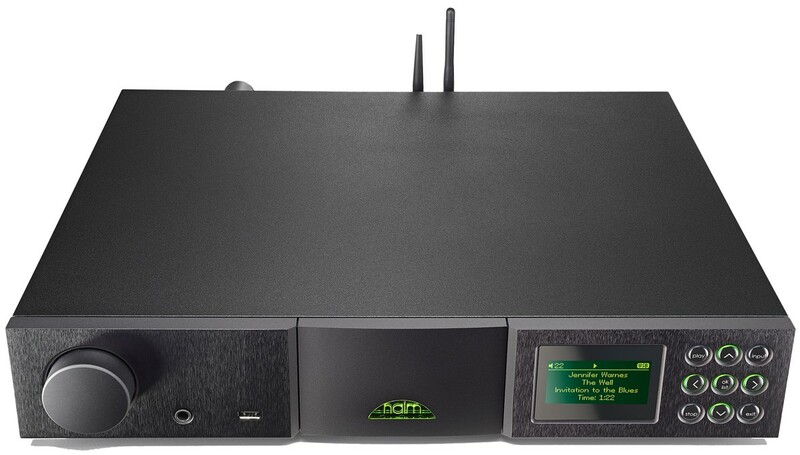 Those with files on network-attached storage can take advantage of the Naim's UPnP hi-res streaming, while Spotify Connect and aptX Bluetooth enhance the NAC-N 272's credentials. There's also vTuner internet radio, an Apple-compatible USB input and a number of optical and coaxial digital inputs. A built-in headphone amplifier completes a thorough feature set. The NAC-N 272 boasts an impressive array of inputs including high-resolution (up to 24bit/192kHz) UPnPTM streaming, Spotify Connect, iRadio, Bluetooth (aptX), USB, multiroom and an optional DAB/FM module. Six digital and three analogue inputs cover integration with a wide range of sources from CD and games consoles to phonostages. It’s also performance upgradable with the addition of a Naim XP5 XS, XPS or 555 PS power supply. All this functionality does not come at the cost of performance. The 272 has been carefully designed and meticulously hand-crafted to deliver a completely immersive and awe-inspiring music experience. Using the n-Stream app is a uniquely liberating experience, allowing not just easy control of music playback, but the possibility to explore a music collection and find new music from the expanded music information feature delivered by Rovi. Full system automation means a Naim CD player can also be controlled directly from the app. All analogue input sockets on the 272 are individually hand wired to the main board to enhance mechanical decoupling. The board itself is mounted on a system of shoulder bolts which releases any tension which can adversely affect sound quality. The sound critical resistors used arrive at Naim matched to within 5%. This already high tolerance is improved before assembly by hand-matching to within margin of just 1%. We then go even further by introducing a slight mechanically compliant bend in the legs of each one during assembly. We take this care and attention because we know it can help to make the difference in producing the incredible sound on which we’ve built our reputation. The NAC-N 272 is a high-performance Naim preamplifier with quality hand-matched analogue components selected after listening tests. Great care has been taken to protect the signal path from sources of interference. The digital and analogue sections of the product communicate using optical isolation chips which minimises the impact of the noisy digital circuitry and power supply on the critical audio components. The 272’s digital pedigree is formidable. It shares the incredibly powerful DSP (Digital Signal Processor) used by the reference NDS network player and features Naim’s proprietary digital audio buffering and filtering techniques. This helps to eliminate jitter and optimises the audio stream for the best musical performance from any digital source. It also means that the 272 can play back DSD64 files. An optional DAB/FM tuner module is available for an additional £300 on this model - please contact us to discuss.